At first, the Aryans and non-Aryans followed their own forms of religion. Then as the two groups intermingled, the gods and forms of their religions also tended to blend together. This blending resulted in the worship of thousands of gods. Different ways of living and different beliefs made life more complex for both groups. This complexity led some people to question the world and their place in it. 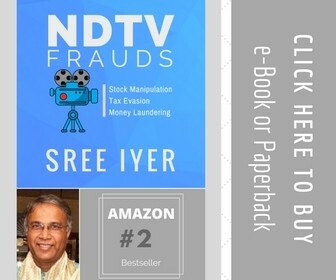 They even questioned the enormous wealth and power held by the Brahmin priests. These priests officiated at elaborate state ceremonies and sacrifices. Out of this turmoil, new religious ideas arose that have continued to influence millions of people today. 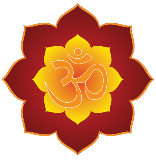 Hinduism is a collection of religious beliefs that developed slowly over a long period of time. Some aspects of the religion can be traced back to ancient times. In a Hindu marriage today, for example, the bride and groom marry in the presence of the sacred fire as they did centuries ago. Verses from the Vedas are recited daily by the faithful. Also, some non-Aryan gods known in Vedic times, such as Krishna of the Mahabharata, continue to be worshiped. From time to time, scholars have tried to organize the many popular cults, gods, and traditions into one grand system of belief. However, Hinduism—unlike religions such as Buddhism, Christianity, or Islam—cannot be traced back to one founder with a single set of ideas. Origins and Beliefs Hindus share a common world-view. They see religion as a way of liberating the soul from the illusions, disappointments, and mistakes of everyday existence. Sometime between 750 and 550 b.c., Hindu teachers tried to interpret and explain the hidden meaning of the Vedic hymns. As they meditated on the Vedas, they asked: What is the nature of reality? What is morality? Is there eternal life? What is the soul? The teachers’ comments were later written down and became known as the Upanishads (oo•PAHN•ih•shahdz). When a person understands the relationship between atman and Brahman, that person achieves perfect understanding (moksha) and a release from life in this world. This understanding does not usually come in one lifetime. By the process of reincarnation (rebirth), an individual soul or spirit is born again and again until moksha is achieved. A soul’s karma—good or bad deeds—follows from one reincarnation to another. Karma influences specific life circumstances, such as the caste one is born into, one’s state of health, wealth or poverty, and so on. Hinduism has gone through many changes over the last 2,500 years. The world soul, Brahman, was sometimes seen as having the personalities of three gods: Brahma, the creator; Vishnu, the protector; and Shiva, the destroyer. Vishnu also took on many forms or personalities, for example, as Krishna, the divine cow herder, and as Rama, the perfect king. Over the centuries, Brahma gradually faded into the background, while the many forms of a great Mother Goddess grew in importance. Hindus today are free to choose the deity they worship or to choose none at all. Most, however, follow a family tradition that may go back centuries. They are also free to choose among three different paths for achieving moksha. They are the path of right thinking, the path of right action, or the path of religious devotion. upper-caste male—a Brahmin, warrior, or merchant—his good fortune was said to come from good karma earned in a former life. However, a person who was born as a female, a laborer, or an untouchable might be getting the results of bad deeds in a former life. With some exceptions, only men of the top three varnas could hope to achieve moksha in their present life. The laws of karma worked with the same certainty as the world’s other natural laws. Good karma brought good fortune and bad karma resulted in bad fortune. Together, the beliefs of Hinduism and its caste structure dominated every aspect of a person’s life. These beliefs determined what one could eat and how one ate it, personal cleanliness, the people one could associate with, how one dressed, and so on. Today, even in the most ordinary activities of daily life, Hindus turn to their religion for guidance. The same period of speculation reflected in the Upanishads also led to the rise of two other religions: Jainism (JY•nihz•uhm) and Buddhism. Mahavira, the founder of Jainism, was born about 599 b.c. and died in 527 b.c. Mahavira believed that everything in the universe has a soul and so should not be harmed. Jain monks carry the doctrine of nonviolence to its logical conclusion. They sweep ants off their path and wear gauze masks over their mouths to avoid breathing in an insect accidentally. In keeping with this nonviolence, followers of Jainism looked for occupations that would not harm any creature. So they have a tradition of working in trade and commerce. Because of their business activities, Jains today make up one of the wealthiest communities in India. Jains have traditionally preached tolerance of all religions. As a result, they have made few efforts to convert followers of other faiths. Because of this tolerance, Jains have not sent out missionaries. So, almost all the nearly 5 million Jains in the world today live in India. 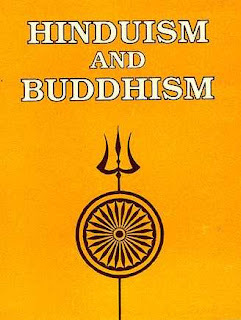 Buddhism developed out of the same period of religious questioning that shaped modern Hinduism and Jainism. The founder of Buddhism, Siddhartha Gautama (sihd•DAHR•tuh GOW• tuh•muh) was born into a noble family that lived in Kapilavastu, in the foothills of the Himalayas in Nepal. According to Buddhist legend, the baby exhibited the marks of a great man. A prophecy indicated that if the child stayed at home he was destined to become a world ruler. If the child left home, however, he would become a universal spiritual leader. To make sure the boy would be a great king, his father isolated him in his palace. Separated from the world, Siddhartha married and had a son. Siddhartha’s Quest Siddhartha never ceased thinking about the world that lay outside the palace, which he had never seen. When he was 29, he ventured outside the palace four times. First he saw an old man, next a sick man, then a corpse being carried to the cremation grounds, and finally a wandering holy man who seemed at peace with himself. Siddhartha understood these events to mean that every living thing experiences old age, sickness, and death and that only a religious life offers a refuge from this inevitable suffering. Siddhartha decided to spend his life searching for religious truth and an end to suffering. So, soon after learning of his son’s birth, he left the palace. First Noble Truth :- Everything in life is suffering and sorrow. 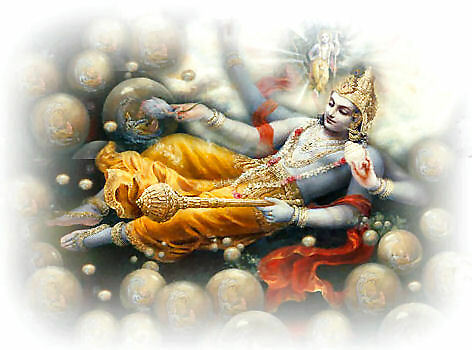 Second Noble Truth :- The cause of all suffering is people’s selfish desire for the temporary pleasures of this world. Third Noble Truth :- The way to end all suffering is to end all desires. Fourth Noble Truth :- The way to overcome such desires and attain enlightenment is to follow the Eightfold Path, which is called the Middle Way between desires and self-denial. By following the Eightfold Path, anyone could reach nirvana, the Buddha’s word for release from selfishness and pain. The Buddha’s teachings included many ideas from the Hindu tradition. However, they also differed sharply from that tradition. As in Hinduism, the Buddha accepted the idea of reincarnation. He also accepted a cyclical, or repetitive, view of history, where the world is created and destroyed over and over again. However, the Buddha rejected the many gods of Hinduism. Instead, he taught a way of enlightenment. Like many of his time, the Buddha reacted against the privileges of the Brahmin priests, and thus he rejected the caste system. The final goals of both religions—moksha for Hindus and nirvana for Buddhists—are similar. Both involve a perfect state of understanding and a break from the chain of reincarnations. Because of his rejection of the caste system, many of the Buddha’s early followers included laborers and craftspeople. He also gained a large following in northeast India, where the Aryans had less influence. The Buddha reluctantly admitted women to religious orders. He feared, however, that women’s presence would distract men from their religious duties. Monks and nuns took vows (solemn promises) to live a life of poverty, to be nonviolent, and not to marry. They wandered throughout India spreading the Buddha’s teachings. Missionaries carried only a begging bowl to receive daily charity offerings from people. During the rainy season, they retreated to caves high up in the hillsides. Gradually, these seasonal retreats became permanent monasteries—some for men, others for women. One monastery, Nalanda, developed into a great university that also attracted non-Buddhists. The teachings of the Buddha were written down shortly after his death. Buddhist sacred literature also includes commentaries, rules about monastic life, manuals on how to meditate, and legends about the Buddha’s previous reincarnations (the Jatakas). This sacred literature was first written down in the first century b.c. large parts of Asia. Buddhist missionaries went to Sri Lanka and Southeast Asia in the third century b.c. Buddhist ideas also traveled along Central Asian trade routes to China. 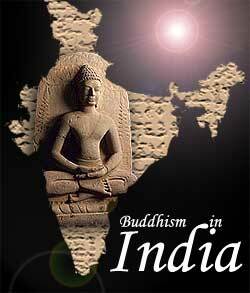 However, Buddhism never gained a significant foothold in India, the country of its origin. Several theories exist about Buddhism’s gradual disappearance in India. 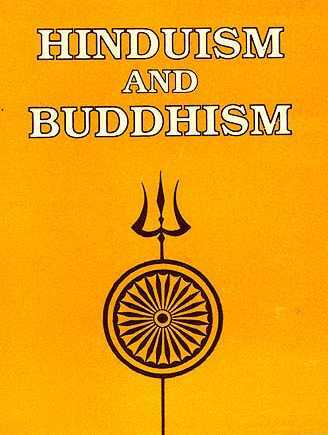 One theory states that Hinduism simply absorbed Buddhism. The two religions constantly influenced each other. Over time, the Buddha came to be identified by Hindus as one of the ten incarnations (reappearances on earth) of the god Vishnu. Hindus, thus, felt no need to convert to Buddhism. They believed it had already become a part of their own religion. Nonetheless, despite the small number of Buddhists in India, the region has always been an important place of pilgrimages for Buddhists. Today, as they have for centuries, Buddhist pilgrims flock to visit spots associated with the Buddha’s life. These sites include his birthplace at Kapilavastu, the fig tree near Gaya, and the site of his first sermon near Varanasi. Buddhists also visit the stupas, or sacred mounds, that are said to contain his relics. The pilgrims circle around the sacred object or sanctuary, moving in a clockwise direction. They also lie face down on the ground and leave flowers. These three actions—circling a shrine, lying face down as a sign of humility, and offering flowers—are important rituals in Buddhist worship. Trade and the Spread of Buddhism As important as missionaries were to the spread of Buddhism, traders played an even more crucial role in this process. Along with their products, traders carried Buddhism beyond India to Sri Lanka. Buddhist religion was also brought southeast along trade routes to Burma, Thailand, and the island of Sumatra. Likewise, Buddhism followed the Central Asian trade routes, called the Silk Roads, all the way to China. From China, Buddhism spread to Korea—and from Korea to Japan. The movement of trade thus succeeded in making Buddhism the most widespread religion of East Asia. Throughout human history, trade has been a powerful force for the spread of ideas. Just as trade spread Buddhism in East Asia, it helped spread cultural influences in another major region of the world.